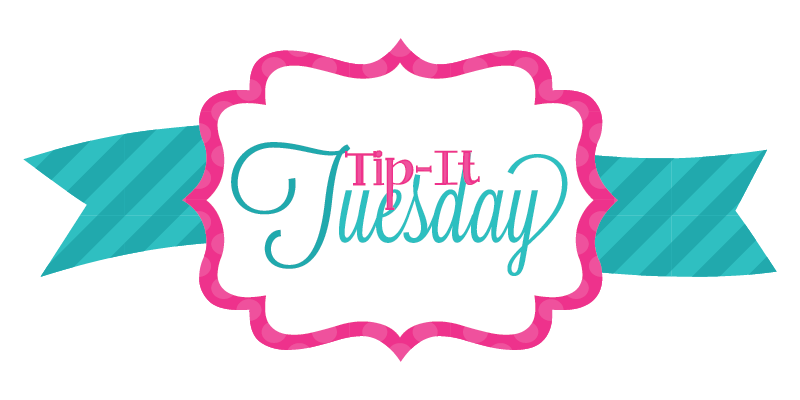 Happy Tuesday and welcome to another Tip-It Tuesday here at MTE! 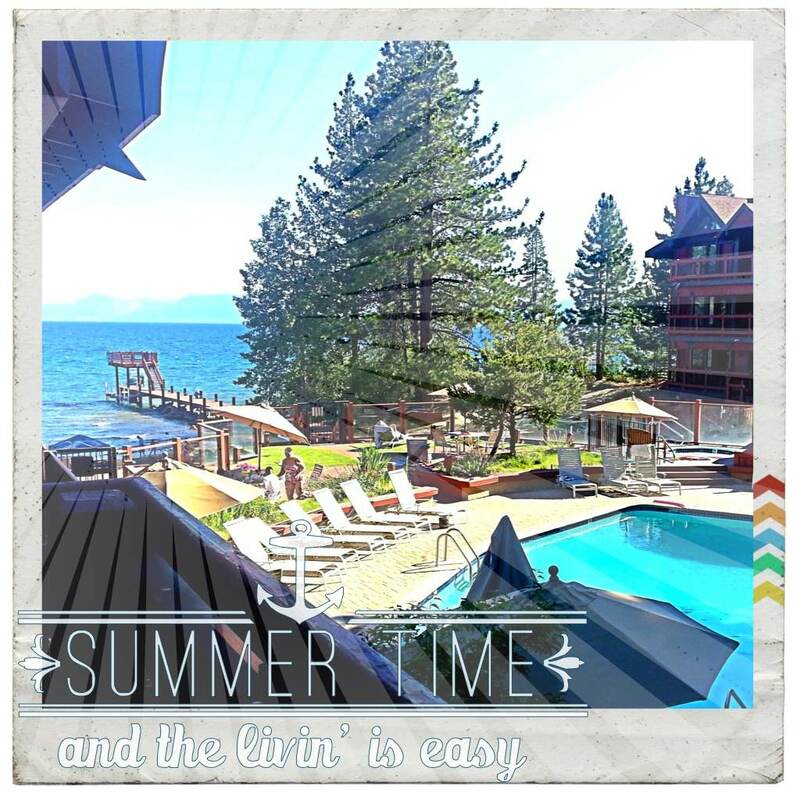 Today I have what may seem like a bit of a strange tip, but as you know I'm on vacation with my family this week, and I couldn't resist sharing with you how I used my stamps in an unusual way! This week's tip: Painting on Ceramics! Now it's time to stamp! 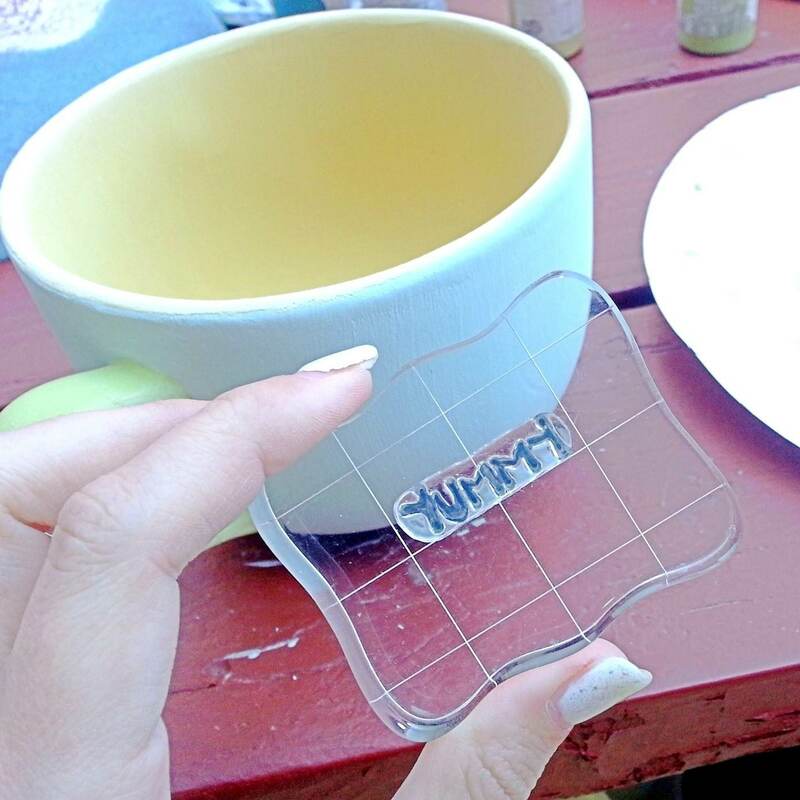 I placed my stamp on a small acrylic block because I had a flat enough surface to stamp on normally. My mom was also stamping on her piece but she had to pass on the acrylic block and handle the stamp manually because of the curve of her piece. Quick tip: be sure to apply even pressure, if your piece curves a little, you may want to "rock" the block a little to match the curve. And finally, you will want to clean up the stamping by hand with a small detail brush. It looks like I have amazing painting skills and I was able to "hand write" the phrases, but it was actually a stamp! Lol! SO cute right?? 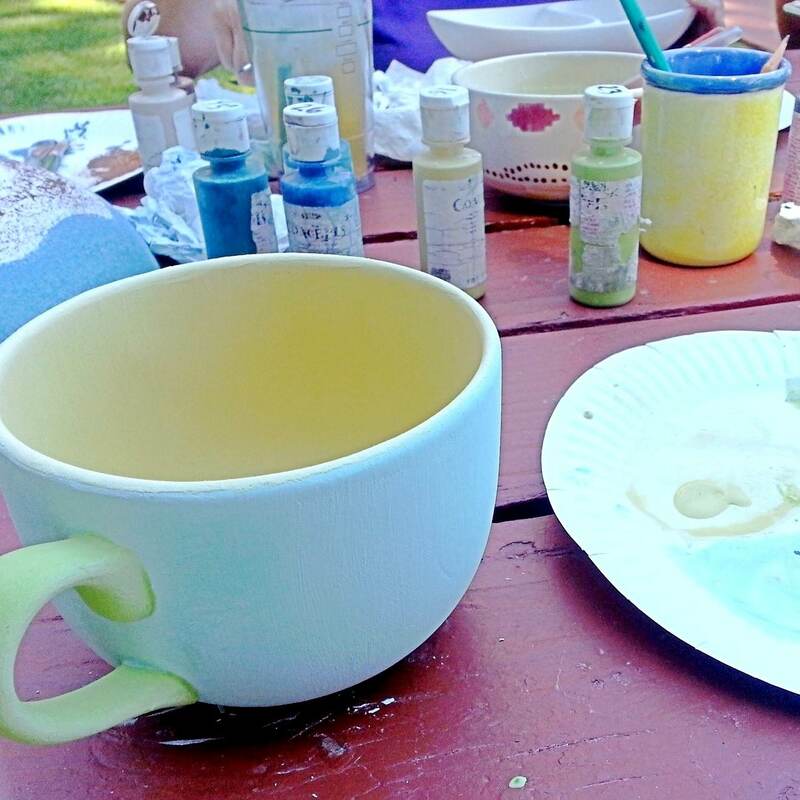 Keep in mind (especially if you've never painted ceramics before) that the paint colors will change a little and the whole piece will be smooth and shiny after it has been fired. 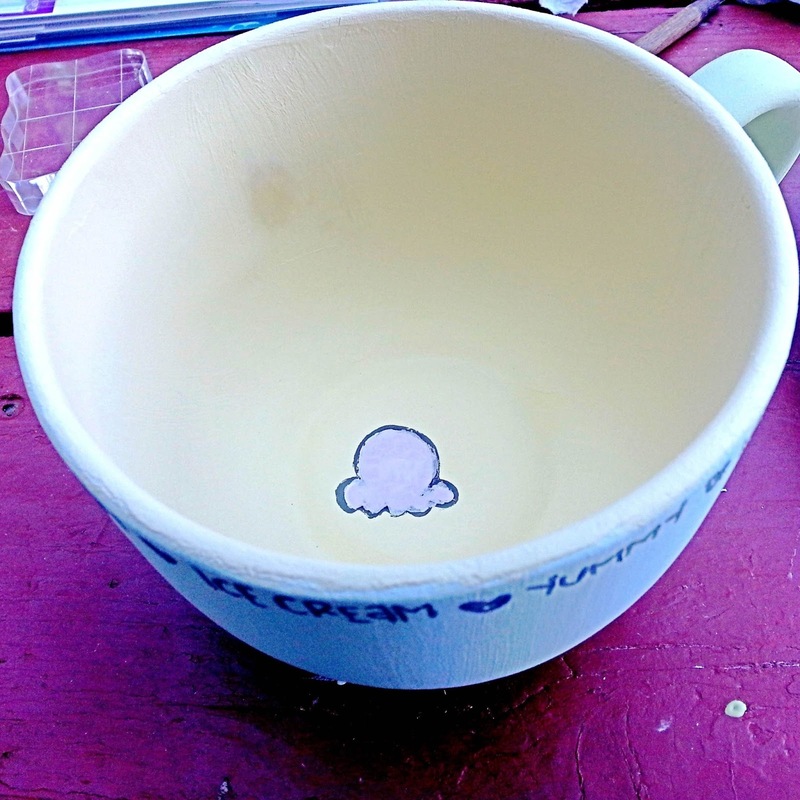 My number one tip to keep in mind when stamping on ceramics: DON'T expect perfect! 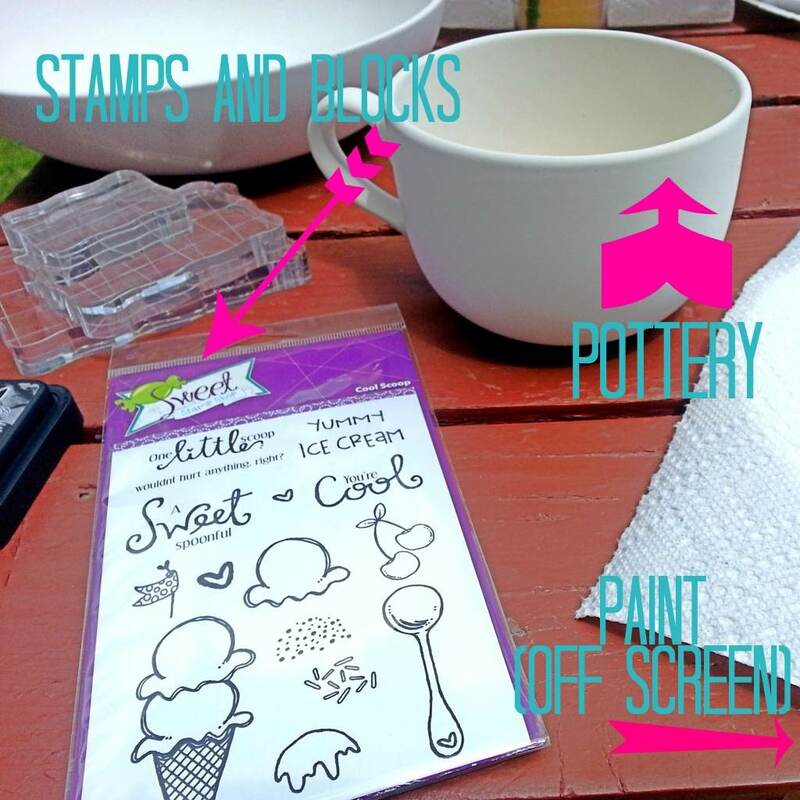 This creates a wonderful hand painted look (NOT a "perfect" look) and is a great tool for those of use who have no painting skills what-so-ever! I'll be sure to share the finished product later this week!! what a fun idea Alyssa!!! aw, tahoe in the summer is so pretty. plus away from the insane heat too! 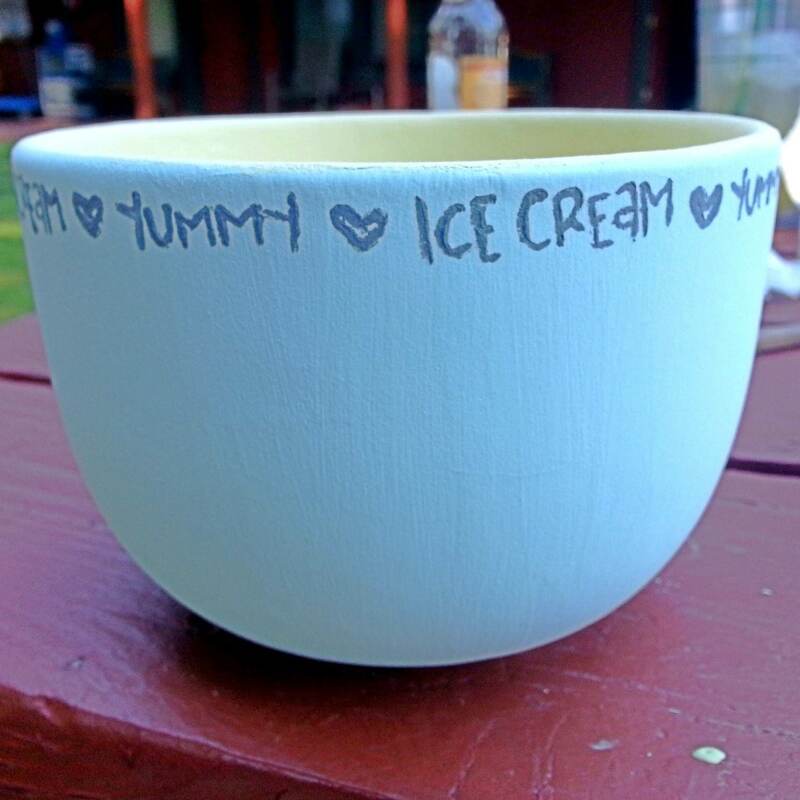 LOVE the ice cream cup... super cute!